Often people selling online have a great product or service but they don’t know what to charge for it. If they price is too low they will sell a bunch of units but won’t make much money. If they price it too high, they won’t sell any units. This program uses Excel to set the optimum price for you that will maximize your total sales revenue. 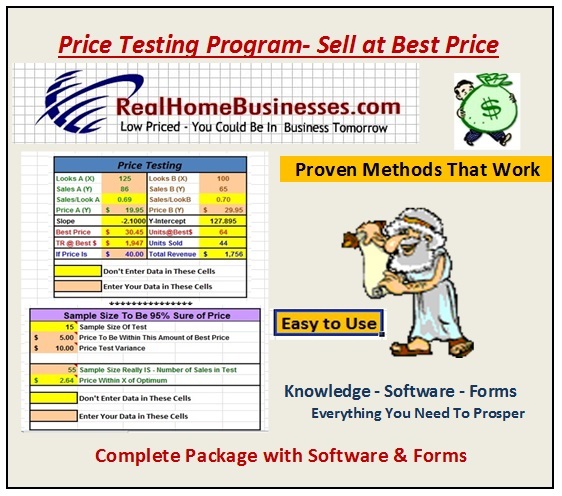 You just test (2) two different prices and jot down how many people viewed each price offering, and how many unit sales you had at each price and enter these number into the program. You just enter the numbers into the boxes and read the results. How simple can it get. All the sophisticated math is done for you. Based on the data you enter the program will tell you what the optimum price is, how many units you would sell at this price and what your total sales gross revenue would be selling your item at this optimum price. You can also play with the price by entering different prices and it will tell you how many unit sales you will have at that price too. If you are selling online you definitely need this program. Let me give you a couple examples. A guy was selling a product online for $19.95 selling 42 units for a gross of $837.90 and used our program to test $29.95 where he sold 38 units for a gross of $1,138.10. The same product grossed him $300.20 more at the higher price. Our program told him that he could raise his price to $62.48, which he did and sold 25 units for a gross of $1,561.25 which was an increase over his initial price of $723.35. The market supported a higher price in this case. Another guy was selling a product online for $59.95, selling 12 units for a gross of $719.40. He tested a price of $29.95 and sold 38 units for a gross of $1,138.10 or an increase of $418.70. The program told him his best price was $36.90 which he changed and sold the projected 32 units for a gross of $1,179.94 or an increase over his original sales price of $460.54. He got this sales increase by lowering his price. This program is great for letting the marketplace tell you the price they will pay and allow you to maximize the total sales revenue. In addition, we have included a Statistics program that will tell you how many sales you need to be able to be 95% sure your price is within the parameters you specify. Again, all you do is enter a few numbers and the program shows you the answer. You get both Excel programs along with an explanation on how to use both programs and contact info if you need to ask us any questions. 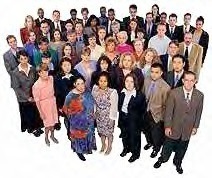 You may also want to check out some of our other offerings on our website realhomebusiness.com. It couldn’t be easier to get the accurate results you need to sell profitably. Contact us with your questions either by email or call 866-935-3100. These two programs can be used together of independently. All you do is enter a few numbers and read the results, simple. Sell your products at the maximum price the marketplace will pay to maximize your profits. 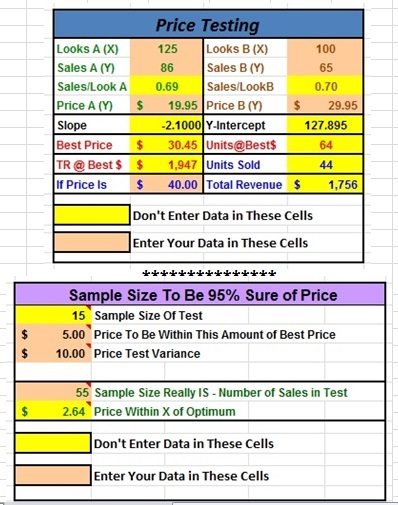 Run this simple Excel program to determine the optimum price to sell your product or service to maximize total revenue or income. To summarize; Easy to use Excel program to foretell your items best price to maximize sales revenues and profits. Comes with complete instructions. Know the maximum price the market will pay for your product or service to maximize sales revenue. Great For All Product or Service Selling!!! !